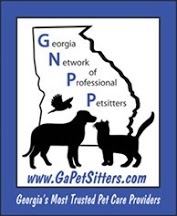 Pet Sitters International, also known as PSI, is the governing body of the pet sitting world. A membership union, if you will. With more than 13 years experience, PSI promotes and supports quality in pet sitting through education and is recognized as the worldwide authority in our industry. PSI provide potential pet sitting clients (that’s you!) plenty of tips for conducting a professional pet sitter interview and choosing the right sitter for your pet. With explicit permission from their organization, we have listed their Q&A along with our personal reply to help you make the most informed decision for the care of your animal. Whether you require dog boarding for your beagle, cat sitting for your Siamese or custom care for your canine, we hope these questions and answers will assist and make your search that much simpler. 1. Does the pet sitter (or agency) keep regular office hours? PSI Suggests: A Professional pet sitter should have a schedule of office hours. A larger business may have additional personnel to answer phone calls or e-mails, but many pet sitters are sole proprietors who use answering machines to field inquiries. Happy Walk Happy Dog Practice: We are accessible 24/7 365 days per year. Seriously. Feel free to call our office line anytime. If, for whatever reason, you do not get us, Your message will be responded to within 24 hours. 2. If you left a message inquiring about services, how soon was it returned? PSI Suggests: All phone calls should be returned within 24 hours. Happy Walk Happy Dog: Sure, that seems appropriate, but we tend to return emails and phone calls the same day. Usually within a couple of hours. And as stated before you will get a response within 24 hours. 3. How much notice does the pet sitter (or agency) need in order to schedule your request for a pet sitter? PSI Suggests: Most pet sitters request at least two weeks notice, but may be able to accommodate an occasional short-notice assignment. Sometimes there is an additional charge for short-notice assignments. Happy Walk Happy Dog Practice: We have no pre-set requirements. Last minute emergencies happen. In fact, we often handle last-minute requests quite successfully. This is just one way our staff of professional pet sitters go above and beyond (we love what we do!). 4. Does the pet sitter (or agency) have established fees for pet care they can quote over the phone and/or in company literature? PSI Suggests: A professional pet sitter should have a published list of fees that cover the most common pet-care requests. Fees for special services may be worked out on a case-by-case basis. Happy Walk Happy Dog Practice: We sure do. You can read all about our fee structure on this website by clicking on the Service/Rates tab above. Nothing, however, is set in stone as we recognize different animals require different care. We will customize and create the perfect solution to make certain your pet is properly cared for while you are away. 5. Is the pet sitter bonded and insured? PSI Suggests: Ask for proof of coverage. PSI members have access to group rates on policies specifically for pet sitters and are provided insurance cards. Happy Walk Happy Dog Practice: All of our pet sitters are completely insured and bonded through Kennel Pro. You may read more about our coverage in detail, by clicking on the Insured and Bonded tab above. 6. Does the pet sitter meet with you and your pet(s) in advance? Is there a charge for this in-home meeting? PSI Suggests: Initial interviews allow the pet sitter to meet with you in your home, interact with your pets and discuss services and business policies. These visits are highly recommended for both pet owner and pet sitter. Some pet sitters offer this service at no charge, while others charge a nominal fee for their time and travel expenses. Happy Walk Happy Dog Practice: We offer complimentary play dates and meet-n-greets on all our services. This is your chance to get to know the sitter in person either in your home or in theirs (depending on where the care is taking place). We do not require any commitment before you meet your sitter. 7. How much experience does the pet sitter have in caring for your particular type of pet? PSI Suggests: Experience in caring for special needs pets or unusual types of pets is helpful if that is what you need. Pet sitters who have completed PSI’s Accreditation Program have the resources on hand to care for a wide variety of companion animal species. Happy Walk Happy Dog Practice: Our pet sitters have plenty of experience caring for all types of animals with all types of needs (medical, emotional…). We know how to administer pills or shots, if necessary. Your pet will always be in good hands with us! 8. Does the pet sitter willingly and happily provide references? PSI Suggests: PSI recommends that all of its members have a list of references for potential clients to contact. Happy Walk Happy Dog Practice: Our sitters come highly recommended with their own list of past client references. Feel free to peruse the Testimonial Tab. 9. Does the pet sitter use a service contract that spells out services performed and fees for doing so? PSI Suggests: A well-written contract outlines the details associated with each service the sitter will provide. The contract includes all fees along with the expected amount of time that will be spent with your pet(s). This ensures that both you and your sitter have agreed on and understand the level of service being provided in your absence. Happy Walk Happy Dog Practice: We provide a thorough service agreement that we ask you to fill out and return before you leave. This is our chance to get all the necessary information so we may care for your animal in the best possible way. The agreement has a place for contact, vet and emergency info, special instructions and pet likes and dislikes. 10. How much time does the pet sitter spend in your home to care for your pet(s)? PSI Suggests: The average in-home visit to care for one pet is 30 minutes, but additional time may be required if you request special services such as dog walking, pet grooming, etc. or have a multiple pet household. Happy Walk Happy Dog Practice: Our standard cat sitting visit is 30-minutes and we guarantee the sitter will spend the entire time keeping your cat company with all the love, playtime and affection they can handle! We will also make sure your home is in better condition than how you left it. Our standard dog sitting visit is One hour. 11. What contingency plan does the pet sitter have in the event of inclement weather or natural disaster while caring for your pet(s)? Happy Walk Happy Dog Practice: If there is a bad thunderstorm, hurricane, earthquake, it will prevent walking of the pet. However a thunderstorm will not prevent a pet sitting job. Hurricane and earthquakes are quite rare in Georgia. Therefore I don’t see it being an issue. 12. What does the pet sitter do if medical care is needed for your pet? PSI Suggests: Arrangements should be made with your veterinarian and/or local emergency veterinary clinic to allow the sitter to seek medical attention for your pet while you are away. Happy Walk Happy Dog Practice: Not only do we require the vet name and address where your pet’s records are kept, but we also have a relationship with on-call emergency animal hospital in Suwanee called VCA. Arrangements are always made in case of emergencies. 13. What are the payment terms? PSI Suggests: Some pet sitters require payment in full for first time customers while others require a deposit upon reservation and balance paid at the end of the assignment. There is no industry standard for payment terms, so be sure you understand in advance the terms of the pet sitting business you utilize. Happy Walk Happy Dog Practice: We ask for a credit card number when you are ready to reserve your pet sitter. After your initial in-person meeting with your sitter, we will charge your card a 50% deposit of the total to hold your reservation and charge the remaining balance at the commencement of services. 14. How does the pet sitting agency screen and train their pet sitters? PSI Suggests: When a pet-sitting business owner uses staff sitters, a careful employment screening process should be used to ensure that any of the company’s personnel who care for your pet are trained and equipped to provide the high-quality care you and your pet deserve. Happy Walk Happy Dog Practice: Currently, we are a one woman show. 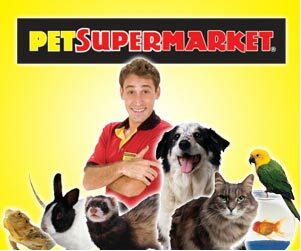 I have over 30 years experience with animals. I am insured and bonded. I am trained in first aid for pets as well as behavioral training. 15. During the in-home interview, does the pet sitter exhibit a positive attitude and seem comfortable and competent in caring for your pet(s)? PSI Suggests: A positive attitude goes hand in hand with experience when it comes to in-home pet care. As a result, you can feel at ease and look forward to the in-home pet-care a professional pet sitter provides. Happy Walk Happy Dog Practice: From the moment you are in contact with Happy Walk Happy Dog, you will notice the upbeat, passionate and positive attitude. We will go out of their way to assure your comfort and you will quickly experience this during our complimentary play dates. From the moment you make contact with Happy Walk Happy Dog, you receive unparalleled customer care and service. We take pride in the quality of our job and the timely fashion in which we handle all requests. Leaving town tomorrow on a last minute business trip? No problem! Got a surprise visit from the in-laws who are allergic to Fido? No problem! Happy Walk Happy Dog is an organization with well-educated, animal-loving individuals who easily go above and beyond the call of duty.